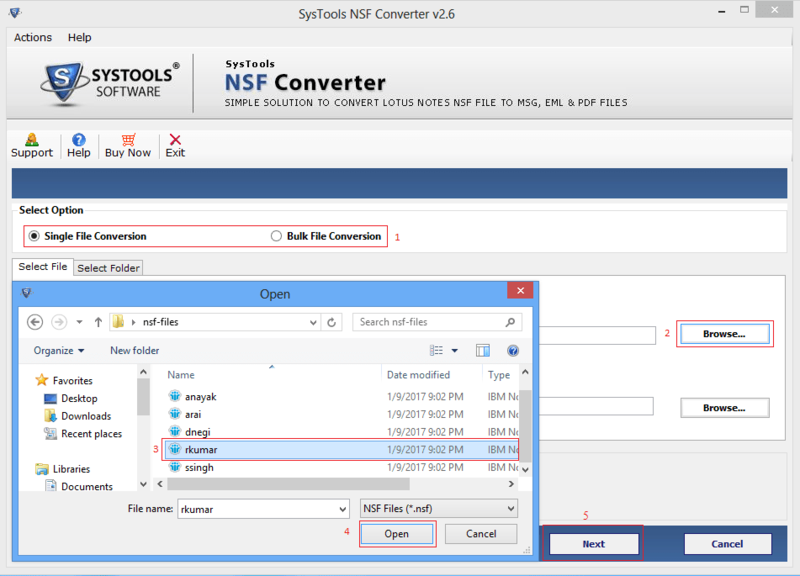 Tool to convert NSF to MSG, EML or PDF will brings all the data holders of Lotus Notes files like Emails, Contacts, Journals, Calendar and To-Do. 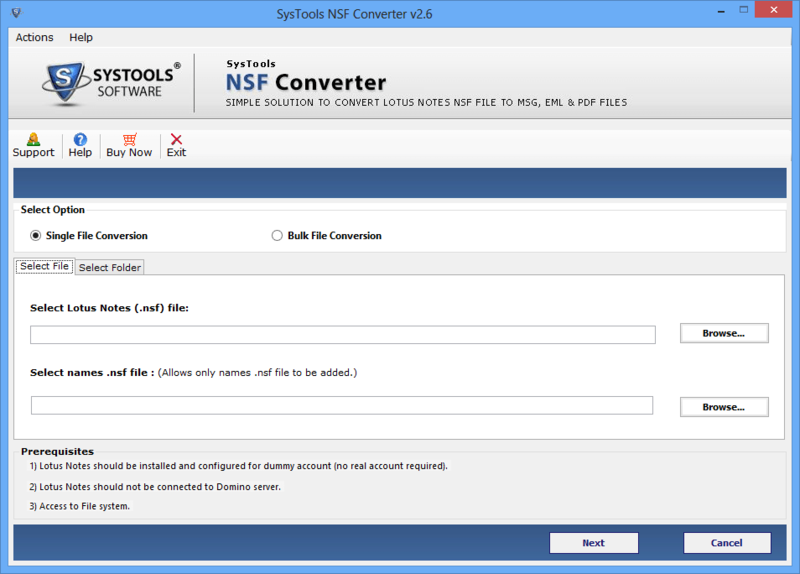 With this NSF Converter user can converts single or multiple NSF files at once easily. The Lotus Notes to EML file converter will perform dual conversion of NSF file to EML, MSG or PDF. The EML file conversion will let users to open NSF files in Outlook Express, Windows Live Mail, Apple Mail etc. Both MSG or PDF file format is compatible with Outlook. Software which is designed to export Lotus Notes NSF to EML, MSG or PDF will not allow any changes in the internet header of any mail like attachments, graphics, images etc. as it is. Also tool to export NSF files will preserve the hierarchy of folders as well. With this utility user can choose the preferred data for NSF to EML or MSG conversion. This way the user can remove the unwanted data and minimize the size of outcomes. User can select the folder as well as emails to get converted into the desired file format. 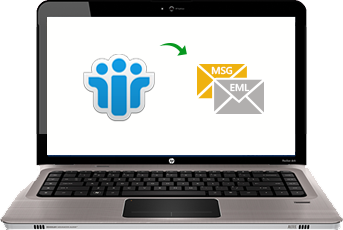 While export Lotus Notes email to EML or MSG user can take the benefits of an amazing Search Feature that helps users to find particular mail, folder or NSF file among others. This search property leads user to reduce the time searching any mail or file. 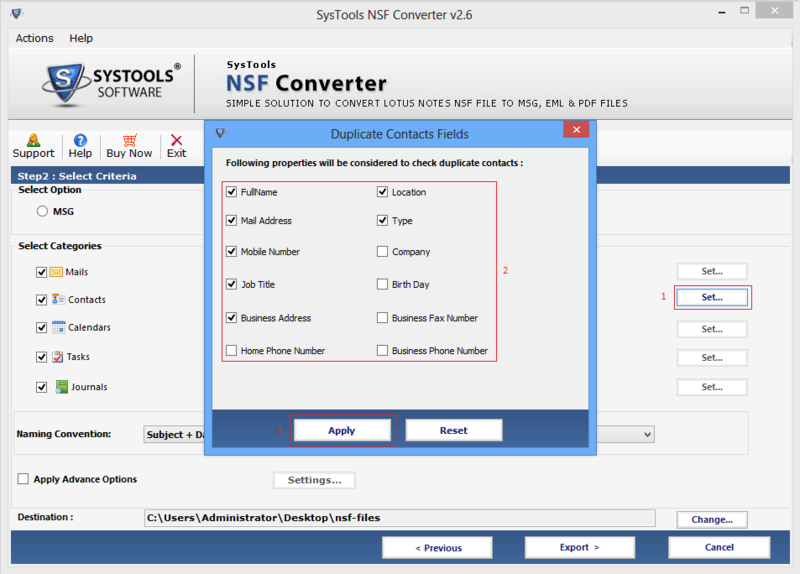 The NSF converter application is designed with simple user interface so that new user can navigate this program without any hurdle. This tool to export Lotus Notes emails to EML is compatible with all major versions of Windows & Lotus Notes (9.0 to 6.5). Lotus Notes NSF File Converter with its great features and algorithms enabled me to export my large sized NSF File into EML file format in a very quick and efficacious manner. It's a worth appraising tool. Lotus Notes NSF to EML converter is one of the best tool that I have come across. 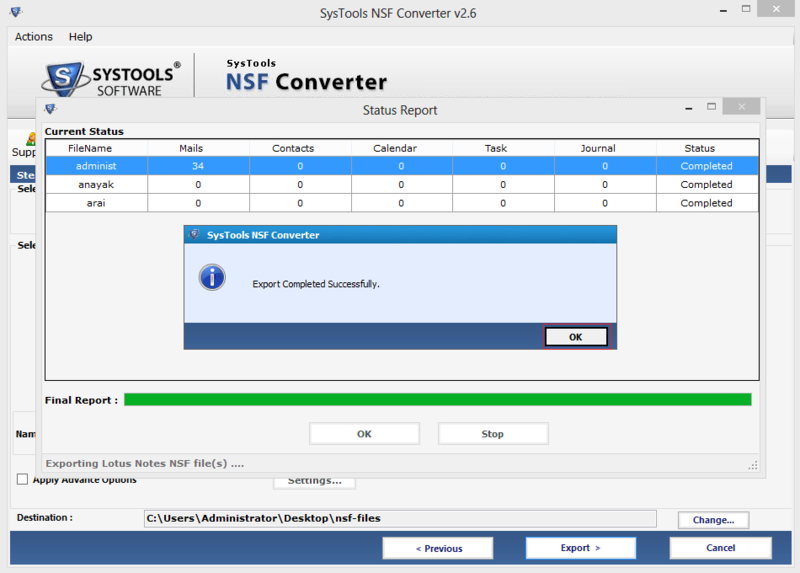 I have tried so many third party software in the past, but the level of perfection portrayed by NSF Converter is unmatched. A Perfect tool with great features. Lotus Notes: Initially Lotus Notes was introduced to facilitate the process of emailing. However, as time passed away Notes has increasingly become entrenched among business organizations. The collaborative framework of emailing and instant messaging provided the features to access and share information over a network through internet. Its storage database is NSF file format and proprietary to Lotus Notes only. EML: EML stands for Electronic Mail and is the file extension for email messages that is saved in the form of Internet Message Format protocol. The EML messages are created in compliance with RFC 5322 and this is the reason why they are compatible with most of the emailing applications and servers. The EML file format is supported by Mozilla Thunderbird, Apple Mail, Microsoft Outlook Express, Entourage, and Outlook. MSG: MSG is the file extension of single email introduced by Microsoft Outlook and Exchange Server. A MSG file contains all the context of each mail like Body, Attachments, Links, Email header etc.. The significant attributes of MSG file is that it can be easily shared over internet, scanning for a malware, Archiving the data and much more. NSF file Converter is implemented to execute files from export Lotus Notes mail to EML messages with ease. This software enables users to open Lotus Notes NSF files in Outlook, Outlook Express, Thunderbird, Windows Live Mail and many more. Install the Lotus Notes NSF file Converter and let your NSF files to be suppler with other emailing platform as discussed earlier. Tool to save Lotus Notes email to EML will reserve the Structure Hierarchy of each Folder and Meta Details.